Our Celestial Star collection is perfect if you are planning an evening or autumnal affair. This collection is sure to set the tone with your guests. 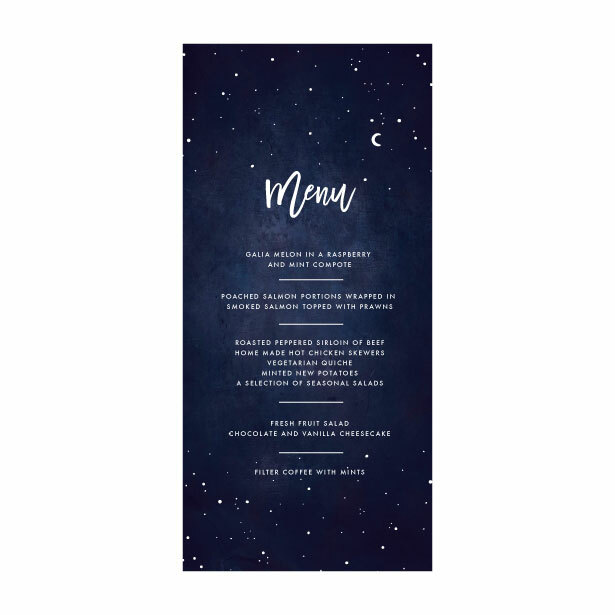 We love how romantic a starry evening is and we feel this design is the perfect touch to create an elegant feel to your day.